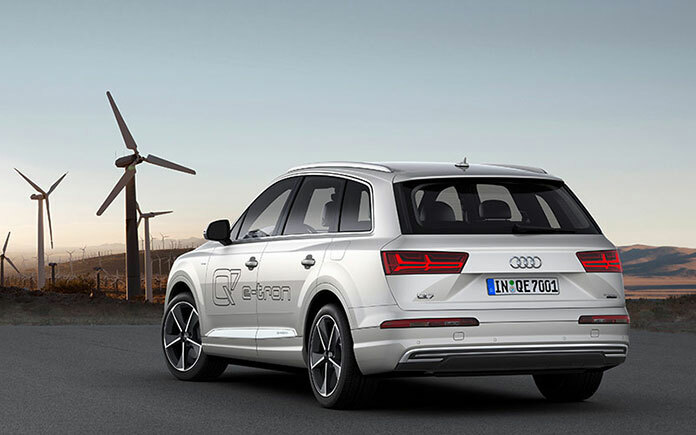 The Audi Q7 e-tron 3.0 TDI quattro is the first plug-in hybrid in the world to feature a V6 TDI and quattro drive. The SUV sets standards thanks to 275 kW (373 hp) of system power and 700 Nm (516.3 lb-ft) of system torque. It accelerates from a standing start to 100 km/h (62.1 mph) in 6.2 seconds and consumes only 1.8 liters (130.7 US mpg) of diesel in accordance with NEDC. Its lithium-ion battery can be charged from the socket and stores 17.3 kWh. With its electric range of up to 56 kilometers (34.8 mi), the SUV covers large areas of everyday mobility. The starting price in Germany is 80,500 euros. 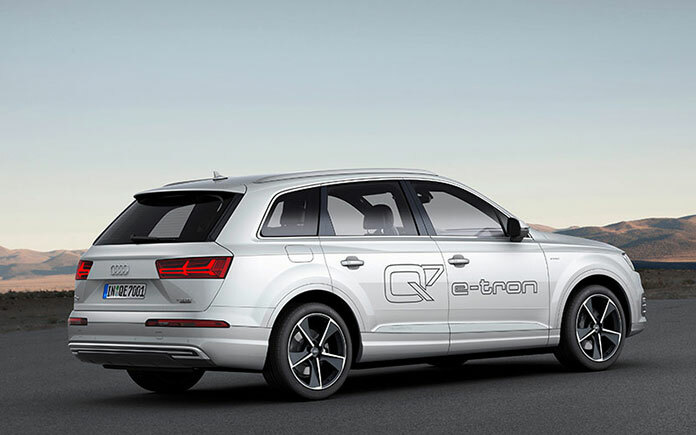 Popular optional equipment for the basic model worth around 7,000 euros is already included on the Q7 e-tron quattro as standard in Germany. LED headlights, MMI navigation plus with MMI all-in-touch and the Audi virtual cockpit are among the features included. The high-resolution TFT screen provides pin-sharp displays and graphics, including special views such as the power meter, the energy flow of the plug-in hybrid system, the range and the state of charge of the high-voltage battery. In Germany, the standard items also include a charging cable for public charging stations and a charging cable that not only features power connections for domestic and industrial sockets, but also contains a graphic display. Thanks to the new two-phase charging technology, full charging from an industrial socket with an output of 7.2 kW only takes around two and a half hours. That is an outstanding figure for this class. 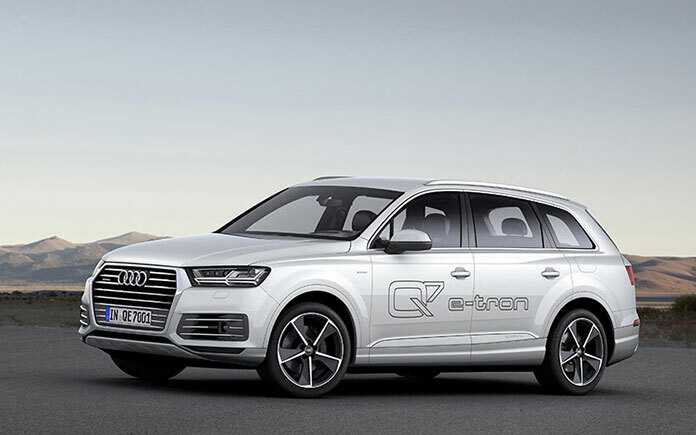 The Audi connect module links the Q7 e-tron quattro to the Internet via the high- speed LTE standard. A new standard feature is the “Audi connect safety& service”. 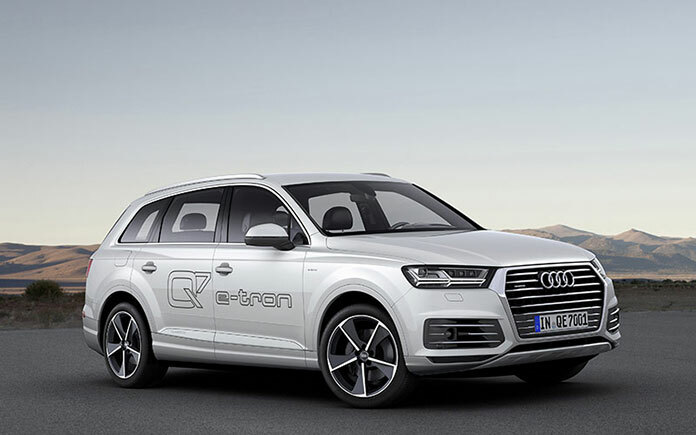 With the Audi connect e-tron services and the Audi MMI connect app, a smartphone can be used to remotely control the charging process and interior climate control, and to access data relating to previous journeys.